Like the other Republican candidates, businessman Bill Lee, left, opposes extending tuition breaks to undocumented students. 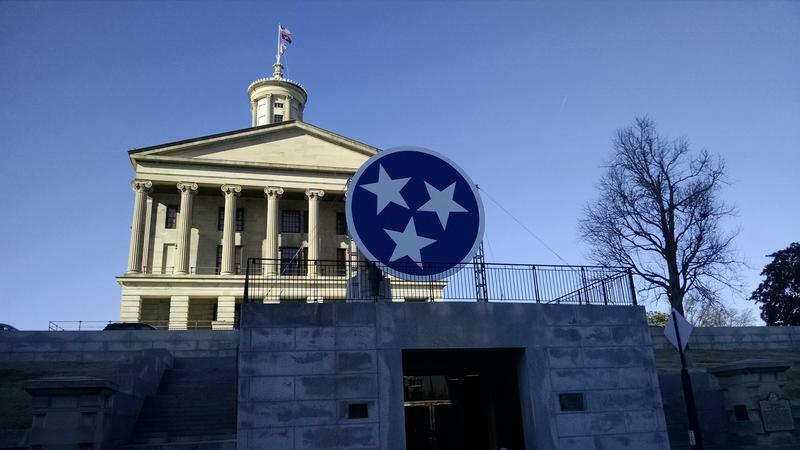 The question of whether immigrants brought to the United States as children should qualify for in-state tuition has divided Tennessee Republicans in recent years. But the five major GOP candidates for governor all see it the same way: They're against it. In recent interviews, each voiced opposition in one way or another to the idea of extending tuition breaks to students who were brought to the U.S. illegally but graduate from a Tennessee high school. That's even though the Republican-controlled state legislature came just a single vote short of approving the proposal two years ago. The near-miss disappointed immigrant rights groups but surprised those who thought conservatives in Tennessee could never be brought around to the idea. Franklin businessman Bill Lee still isn't convinced. "I think it's a system of fairness," he says. "It's not really fair, from my perspective, to offer in-state tuition to an illegal immigrant and not offer in-state tuition to an American citizen from an adjacent state." 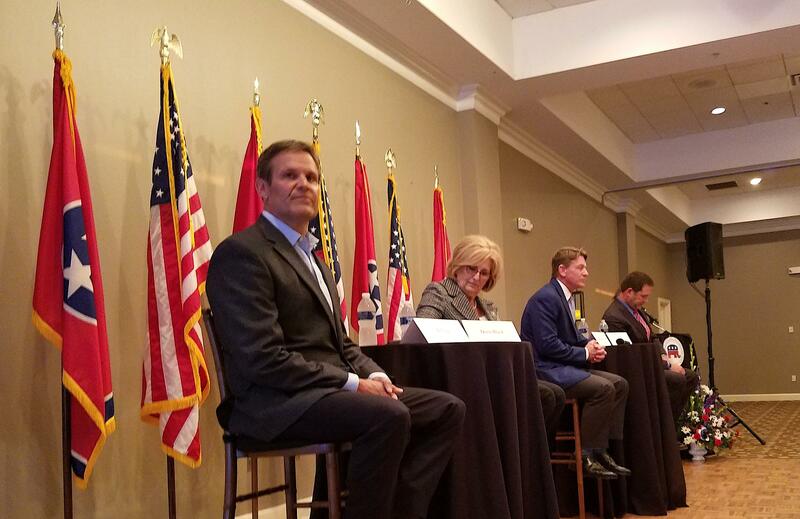 Lee's competitors in the Republican primary — House Speaker Beth Harwell, former state Senator Mae Beavers, businessman Randy Boyd and Congressman Diane Black — were equally skeptical. Some of the interviews were conducted before President Trump's announcement that his administration plans to suspend Deferred Action for Childhood Arrivals, an underpinning of the idea, and some of the interviews were conducted afterward. But that seemed to have little impact on the Republican candidates' thinking. Only Harwell mentioned DACA, and she had previously stated her opposition. The Republicans stand at odds with the two Democrats in the race, both of whom advocate extending in-state tuition to undocumented students. Such students have earned their place, says House Minority Leader Craig Fitzhugh, and shouldn't be held back by their immigration status. "Some of the figures I've seen, there are multiples of valedictorians in this very county, Davidson County, that cannot qualify for in-state tuition because they're unregistered or undocumented or whatever the term is even though they've lived here, some of them, since shortly after birth," he says. Former Nashville Mayor Karl Dean agrees with Fitzhugh. And Dean pointedly notes that it's the same position held by the man currently in the governor's office, Bill Haslam. QUESTION: Should children brought here illegally but who graduate from a Tennessee high school be eligible for in-state tuition? Mae Beavers: I voted against that bill. They came here, their parents came here illegally and they should not enjoy the benefits that a taxpayer who's always been here has. 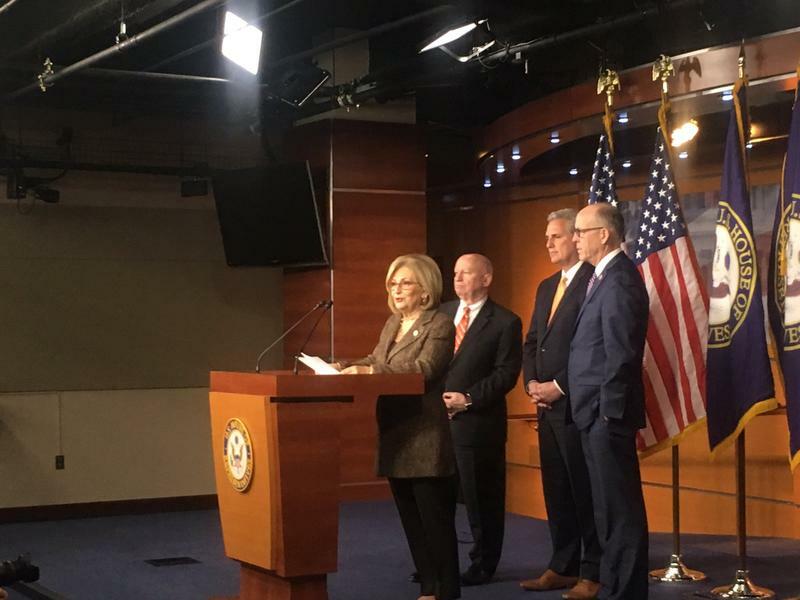 Diane Black: I don't support in-state tuition for illegal immigrants. I think you shouldn't use taxpayer dollars to subsidize college for someone who can't be legally employed when they graduate. 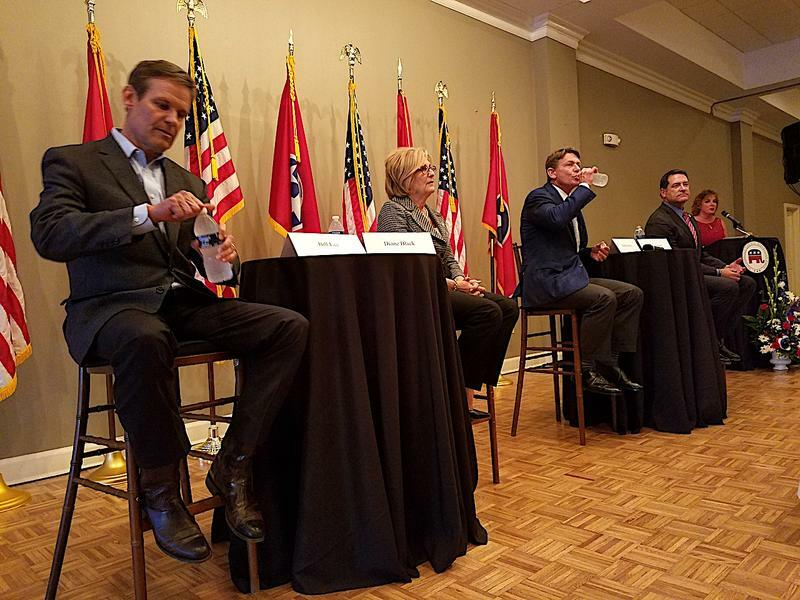 Randy Boyd: Well, it's an interesting question because you know, in the state of Tennessee, with the Tennessee Promise and Tennessee Reconnect, technical college and community colleges are free. So, undocumented citizens shouldn't be able to go to college for free. However, they should be able to pay full price. I'm not in support of undocumented students getting in-state tuition. I do want our universities, however, to be able to look at what their tuition policy is for out-of-state students. One of the things that I worry about is the lack of workers, the lack of skilled workers, that we have, and we have a lot of colleges that have a lot of underused capacity. So, I think maybe the question might be what is the appropriate out-of-state tuition. Beth Harwell: No, I don't believe that they should, and I think President Trump has done the right thing in listening to the people. It's what he campaigned on. I think now it's up to Congress to take some action over the next six months. Let's hope that they can do that. I think President Obama started a program that's blatantly unconstitutional. He usurped authority and I think President Trump has returned it now to where it belongs, which is Congress. So now we'll wait and see what their actions are. Bill Lee: I don't think they should, primarily because I think it's a system of fairness. It's not really fair, from my perspective, to offer in-state tuition to an illegal immigrant and not offer in-state tuition to an American citizen from an adjacent state. Karl Dean: Yes, I believe they should. I'm on the same page on this issue as Governor Haslam. I agree with him that allowing all students who call Tennessee home to pay in-state tuition is the right thing. I think not only is it good for the students, it's good for the state. I believe that it will strengthen our workforce and it'll allow students who might not have a chance to go to college to go to college. Craig Fitzhugh: Yes, I think it's a situation that instead of sending these children home, like the federal law does, this is their home. And they have, in my opinion, done what it takes to qualify for in-state tuition, and they should be given it. I supported the measure when it came through the House before, and I will continue to support it. I think some of the figures that I've seen, there are multiples of valedictorians in this very county, Davidson County, that cannot qualify for in-state tuition because they're unregistered or undocumented or whatever the term is even though they've lived here, some of them, since shortly after birth. So, yes, we should move forward on that. That's who Tennesseans say they're most familiar with as the race to succeed Governor Bill Haslam begins. Just under half of all voters say in a new statewide poll they've heard of her. A political scientist at Middle Tennessee State University is predicting next year's race for governor could go down in the books as the state's most expensive race ever. Kent Syler, an instructor at MTSU and former campaign manager to U.S. Rep. Bart Gordon, says the battle to succeed Gov. Bill Haslam should easily eclipse the $20 million he spent to win the office in 2010 and is likely to surpass the state record $34 million that went into the 2006 Senate campaigns of Bob Corker and Harold Ford, Jr.
Glencliff is one of the most diverse high schools in the state. Almost half of the student population is Hispanic or Latino. And many of them have protection under the DACA program. So that’s where the Tennessee Immigrant and Refugee Rights Coalition held a workshop Thursday night for students and their families to try to answer “what’s next?” after this week's announcement that the protection could end.